Yale astronomers have access to many world-class observational facilities, including 20 nights on the the Keck 10-m telescope and a ⅛ share of the Palomar 200-inch Hale Telescope; are full partners in the SDSS-IV project; and are frequently awarded time on various national and international facilities. Members of the Yale Astronomy community can apply for time on these facilities bi-annually; for more information on the process and the facilities, please see the Yale Time Allocation Committee pages. 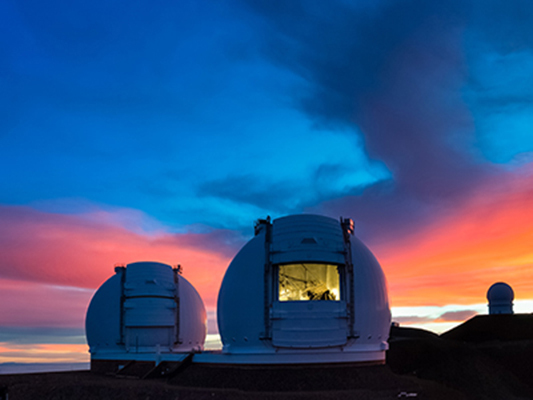 Yale currently has access to 24 nights per year on the Keck 10-meter telescopes on the summit of Mauna Kea in Hawai’i, as well as up to an additional 5 nights per year available specifically for collaborative projects with the California Institute of Technology. In addition, the Yale-NASA Keck Remote Observing Facility is available on-site for both Yale and NASA observers. 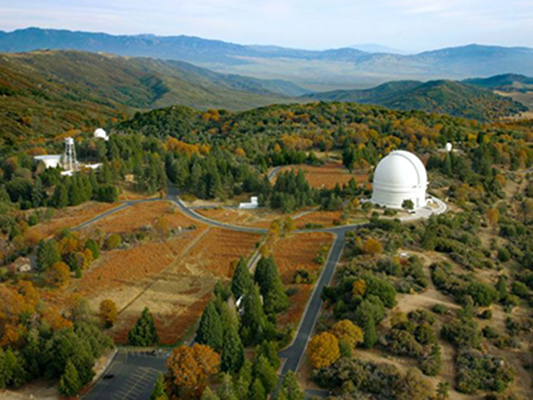 Yale has a 1/8 share of the science time available on the 200-inch Hale Telescope at the Palomar Observatory in California. The Yale-Palomar Remote Observing Facility, located at 46 Hillhouse in room 008, is currently open to Yale observers only who have been awarded time on TripleSpec, WIRC, LFC, WaSP, and DBSP. 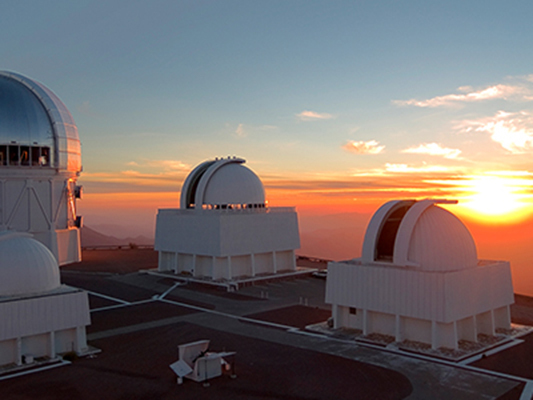 The Yale-run SMARTS Consortium operates two 1-m class telescopes on top of Cerro Tololo in Chile. Yale astronomers have access to the 1.3m SMARTS telescope, which operates in a service queue mode. 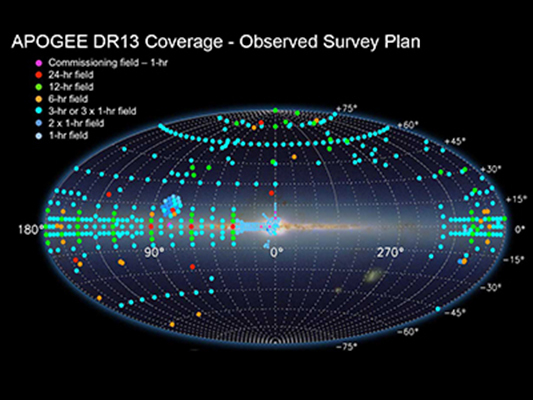 Yale is an institutional member of the Sloan Digital Sky Survey (SDSS-IV). As a member, all Yale researchers can participate in the survey and have access to all the data taken by the survey before it becomes public. The LaSilla-QUEST Variability Survey studies variable astronomical objects, particularly Kuiper Belt Objects (KBOs), periodic variable stars and supernovae. 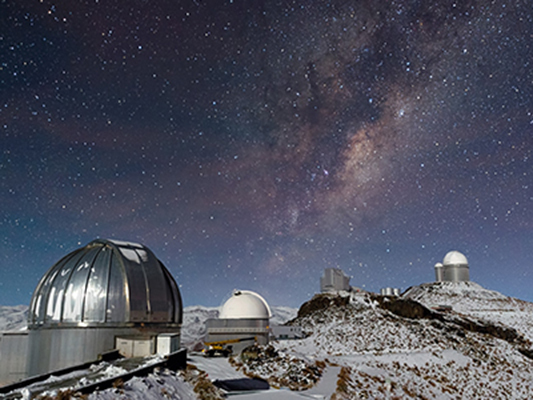 The survey utilizes the 40” ESO Schmidt Telescope at the LaSilla Observatory in Chile with the large-area QUEST camera that was built jointly by Yale University and Indiana University. The data from the survey is accessible to all Yale researchers. 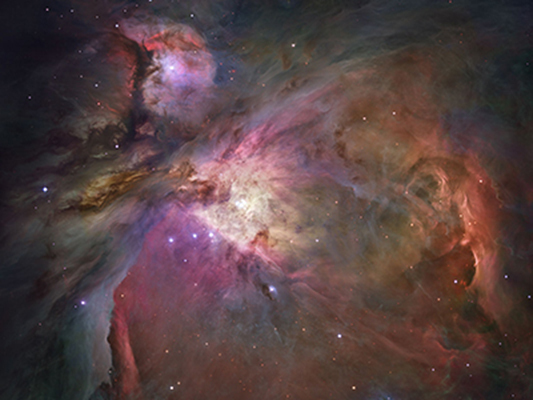 Yale astronomers are routinely awarded time on NASA and ESA space-based telescopes, including the Hubble Space Telescope, Kepler, the X-ray telescopes CHANDRA and RXTE, the infrared Spitzer and Herschel telescopes, and the gamma-ray telescope Fermi. There is significant scientific synergy between these space-based missions and Yale’s ground-based telescopes. In addition, Yale astronomers frequently utilize the facilities available at the national and international optical and radio observatories, including Kitt Peak, Gemini, ALMA and Arecibo. 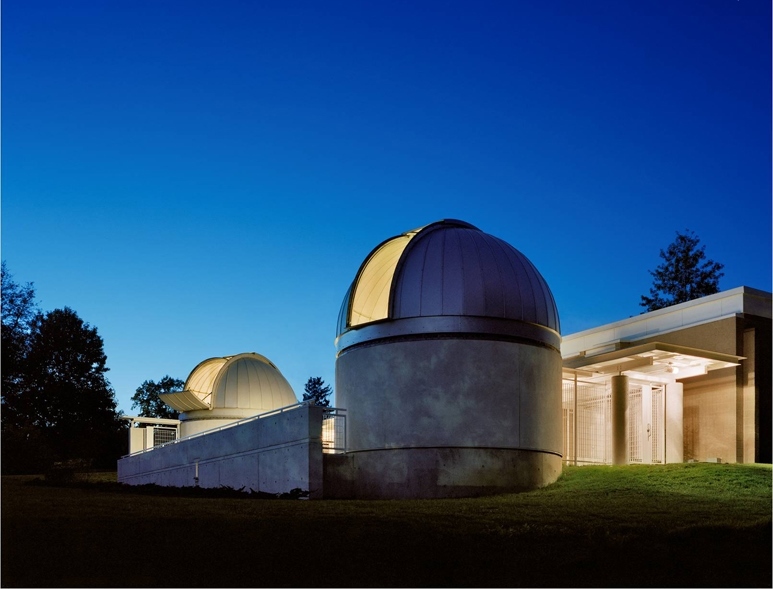 The Leitner Family Observatory and Planetarium (LFOP) is an on-campus observatory and digital planetarium used for undergraduate research and education and for public events. It was made possible by the generous support of James Leitner (Yale ‘75) and Sandra Leitner. The Yale Astronomy Department provides a number of shared compute nodes that include most astronomical software. 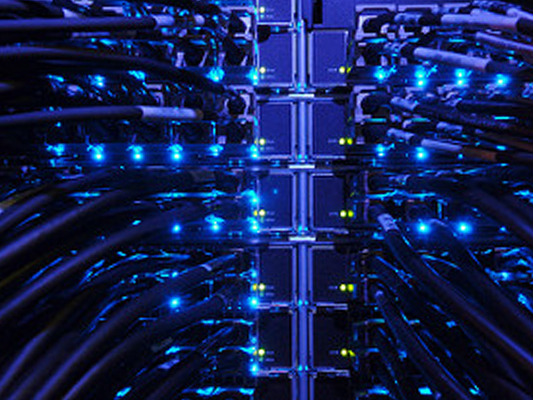 In addition, the department benefits from the University’s High Performance Computing facilities. Each research group can obtain a queue that provides access to compute nodes on several clusters and ample archival storage.